With over 20 years of experience performing at Weddings, Private Parties, Corporate Events and Conventions – The Groove Nation Orchestra are the leaders in providing the Ultimate Dance Party to the Rocky Mountain Region. Led by guitarist Dave DeMichelis and the dynamic vocal team of Kathy Albertson and Joe Sanford, The GNO can vary in size from 6-10 entertainers to accommodate your budget and musical tastes. The band can play continuously or create a custom playlist of requests to play while on break. Groove Nation provides a concert quality sound & light system suitable for audiences of up to 500 guests. 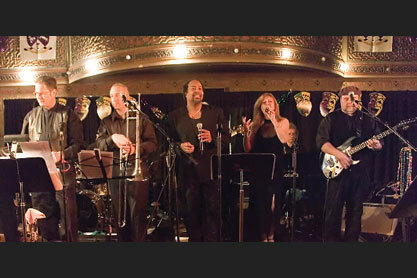 Groove Nation plays a wide variety of music, specializing in Motown, Classic Rock, Disco and Big Band. And yes, in addition to the newest Top-40 hits they have your ethnic and holiday music covered as well!